class="post-template-default single single-post postid-512 single-format-standard samba_theme do-etfw wpb-js-composer js-comp-ver-4.1 vc_responsive"
Vimeo has selected our new short documentary,We Are Fire, as a Vimeo Staff Pick. Written and directed by Orlando von Einsiedel, We Are Fire tells the story of an Indian widow called Champa, whose husband was murdered in a bid to take over their land. 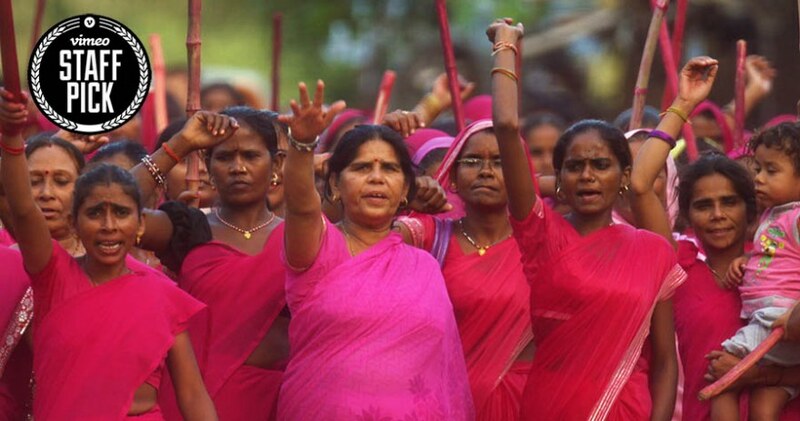 Penniless and ignored by the corrupt officials, she turned to the women’s vigilante group, Gulabi Gang, for help. We Are Fire was edited from footage originally filmed for the Al Jazeera ad campaign Hear the Human Story that highlights the broadcaster’s commitment to giving a voice to underrepresented communities across the globe. The project marks my third collaboration with Orlando following on from Virunga and Gorillas in the Crossfire.